Tokyo 2020 has announced that the Japanese Racing Association (JRA) has signed up as an official contributor of the Olympic and Paralympic Games in Japan's capital. Official contributor is a different status to the Tokyo 2020 sponsorship programme, and recognises non-profit organisations which are contributing to the Games. The JRA, a horse racing body, can now refer to their involvement through the use of designations that explain their contribution in Japan. They will lend the Equestrian Park which will be used for the Games for free and support the Tokyo 2020 equestrian competitions. In addition, the JRA will help renovate the facility and provide financial support for temporary overlay work. "It gives me great pleasure to welcome JRA to our Games family as supporters in our new initiative of Tokyo 2020 official contributor," said Tokyo 2020 President Yoshiro Mori. 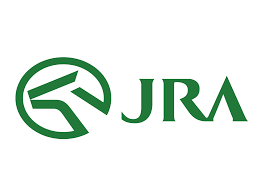 "JRA will refurbish and maintain the Equestrian Park, the venue for equestrian events at the Tokyo 2020 Games, and furnish financial support for overlay construction being carried out by Tokyo 2020. 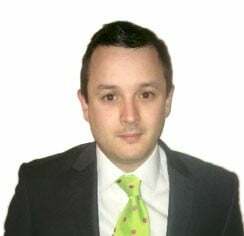 "In addition, we really appreciate the fact that this will provide huge support for the operation of equestrian events, including the deployment of veterinarians during the Games. "I firmly believe the Equestrian Park will become a legacy of the Tokyo 2020 Games for the global equestrian world and will help contribute to its future development." All of the JRA's capital is contributed by the Japanese Government. Its goal is to ensure the development of horse racing as a healthy leisure activity while promoting equestrian sport across Japan. Masayuki Goto, President and chief executive of the JRA, said: "We are extremely honoured to have the opportunity to contribute to the success of the Tokyo 2020 Games as an official contributor. "The Equestrian Park of the Japan Racing Association was privileged to host the equestrian events of the Olympic Games Tokyo 1964, and has been taking a role to disseminate and promote equestrian sports and equine culture. "After a half century passed, with us once again hosting Olympic events in the Equestrian Park, we are proud to cooperate in the smooth operation of the Games through overall renovation of the facilities and financial support for the overlay facilities, and through our many years' experience and knowledge about horses. "Moreover, through these efforts, we will endeavour to create an important legacy that will continue to benefit the development of equestrian sports and equine culture long after the Tokyo 2020 Games."